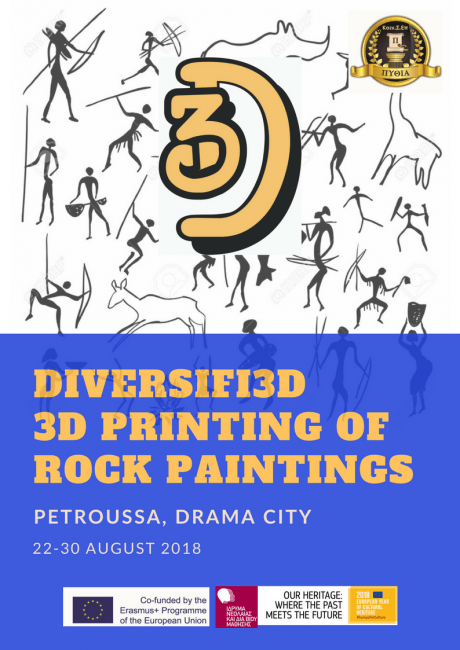 Our partners from Greece prepared a super cool youth exchange called Diversifi3D, that will take part in Petrousa Dramas in August 2018. 7 youngsters and one leader will discuss about the need of human to express himself through Art was developed quite early in human time, which is reflected in the rock paintings and cave paintings dating up to the Paleolithic period (30,000-10,000 BC). The same art forms are found scattered across the globe, which connects the people of that era in an unexpected way. We are very glad to announce the acceptance and initiation of the project Diversifi3D, a non-formal youth education methodology combining Cultural Heritage and 3D printing technology. 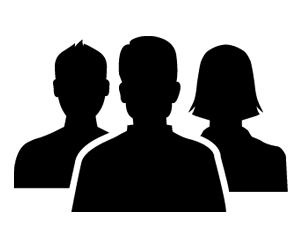 Pythia Social Enterprise has been working hard on Cultural heritage to come up with this innovative project proposal that formulated in a complete Youth Exchange with the active participation of European partners. Since 2018 is the European Year of Cultural Heritage, Pythia Social Enterprise, along with its partners, is Celebrating the past to build the future. The need of human to express himself through Art was developed quite early in human time, which is reflected in the rock paintings and cave paintings dating up to the Paleolithic period (30,000-10,000 BC). The same art forms, is found scattered across the globe, which connects the people of that era in an unexpected way. This common history and art expression is a great opportunity for people to realize their common history and roots and understand that the human species comes from the same tree and that the existence of different cultures, religions and values developed worldwide are different branches from the same tree. It is very important to realize that although humans seem diverse, with different cultures and habits and different religions, they carry the same values, the same fears, the same basic needs and aspirations. Our aim is to study and train on prehistoric paintings using experiential learning and 3D printing technologies, to understand and promote human diversity and cultural variety. Partners in crime are the Asociación International Iniciatives for Cooperation Letur from Spain, Asociacija Apkabink Europa from Lithuania, Society Bridge to the Future from Georgia and Asociatia Tinerii 3D from Romania. More than 45 youths aged between 15-22 years old, are coming to Drama region to set their hands on 3D printed cultural objects, promote diversity and intercultural dialogue. Different activities are enabled to deploy various knowledge, skills and attitude outcomes and especially non-formal and learning by doing activities, self-empowerment and competence improvement, English language literacy, active participation in various initiatives, intercultural learning and knowledge, human and European values on diversity and cultural variety. Day 1 – Day 3: These days will be spent on multinational groups, round-table discussions, debates and brainstorming sessions, participatory seminars, audio-visual and oral presentations, field visits, role-playing and ice-breaking games, energizers, to cover all the knowledge needs of the project. Day 4 – Day 6: These days, are dedicated to skills development and 3D printing seminars and workshop sessions that will help participants express their non-verbal social skills and lead to the use of high-end technologies to advance culture and enable social change in terms of the attitude towards antiquities and technology synergies. Day 7 – Day 9: Two (2) more days will be used to vision, plan, organize and realize a public exhibition of the 3D printed artifacts created during the project activities by all partners. Day 10: The final days are always used for evaluation, reflection and learning outcomes with the award of the Youthpass Certificates. Diversifi3D Youth Exchange is designed to create multifaceted results to the participants, to the organizations and to local communities. Participants will be able to enrich their knowledge, skills and competences, becoming familiar with the prehistoric cultures through experiential learning and high-end technologies. They will thus be able to better understand and respond to social and cultural diversity while preserving their personal and cultural identity. We seek to encourage young people to explore local and world history by observing and linking one culture with each other. Also to create a European and international network of contacts made up of people with the same quests and ideals. Skills and competences shall be developed with the use of 3D printing technologies of artifacts, a thrilling way to develop youth’s professional skills, corresponding to the future of cultural expression and awareness. The project proposal is closely linked to the objectives of the Erasmus program and the Youth action, as it assist the development of key competences and skills of young people especially through experiential learning and 3D technologies and enables them to perform high in the labour market. The aim of the project is in favor of the European values, diversity, social inclusion, tolerance and active citizenship, using history and culture of the prehistoric people to support the common bonding of humans. A network of organizations and people with an interest in prehistory is to be developed, with the intend to move forward with this project and many follow up suggestions to come in the future with the assistance and participation of youths.